The biggest television event of the year is almost here and football fans can hardly keep their socks on. 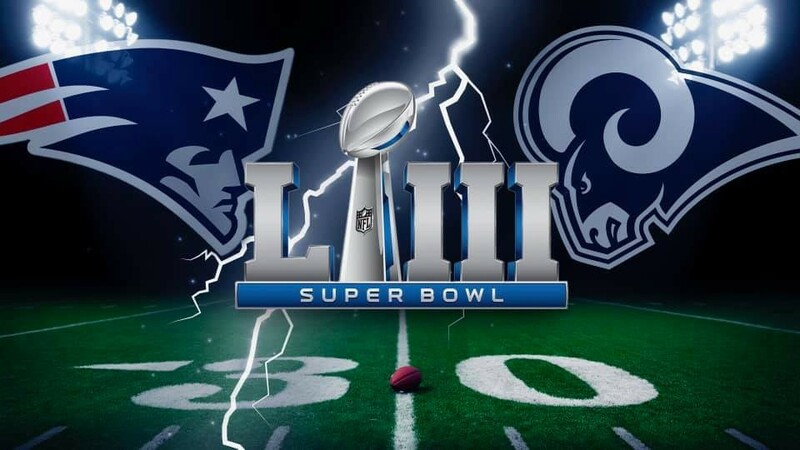 Super Bowl LIII airs tonight and even non-sports fans are looking forward to today’s celebrations. “[I] definitely know some people who are there just to hang out and don’t care about what’s going on in the game. Super Bowl’s got stuff for everyone, it’s a great excuse for a party,” says Tim Coxford, a fourth-year physical geography student at Carleton University. Food is the centrepiece of every great social gathering and the Super Bowl has some signature snacks that are a must. Coxford suggests St. Louis Bar and Grill’s wings if you’re not kitchen savvy enough to make your own. Take-out and delivery deals for the big game start at $39.99 for three pounds of wings with fries and three pops. For $49.99 you can get five pounds of wings with fries. Or, buy in bulk and get ten pounds of wings with fries for $94.99. If you’re looking to eat in, Summerhays Grill near Algonquin College rocks wing night every night for $8.20 a pound. Today, you can get a free bowl of chili with any purchase and enter for your chance to win a framed Super Bowl picture by purchasing a $5 pint of Budweiser or Bud Light. And you can never go wrong with the dynamic duo: pizza and wings. Gabriel Pizza offers a large three-topping pizza with 12 wings, two dipping sauces and two drinks for $32.99 if you order online for pick-up and delivery. And for the vegetarians and gluten-free people in your life, cauliflower wings and gluten-free pizza are the answer. Try Pure Kitchen’s radical Korean barbecue cauliflower wings for $15 or if you’re on budget and looking to impress a special someone at the party try out this easy homemade recipe. But food isn’t the only highlight of the day. “Honestly sometimes I tell everyone to shut up so I can see the new trailer for a Marvel movie, and the half time show always draws the crowd,” Coxford says. This year’s half-time show has gathered some heat with artists’ like Rihanna and Pink reportedly turning down offers to play the high-profile gig due to differing views than those of the NFL. You can expect to see Maroon 5 featuring Travis Scott and Big Boi on the Atlanta stage sometime around 8:30 p.m. The last time the Los Angeles Rams played in the Super Bowl (XXXVI) they lost to the New England Patriots. Since then, the Patriots have been in the Super Bowl seven times. Now that’s a game worth watching regardless of whether you’re a fan of the Patriots, Rams or neither.